Mambo! 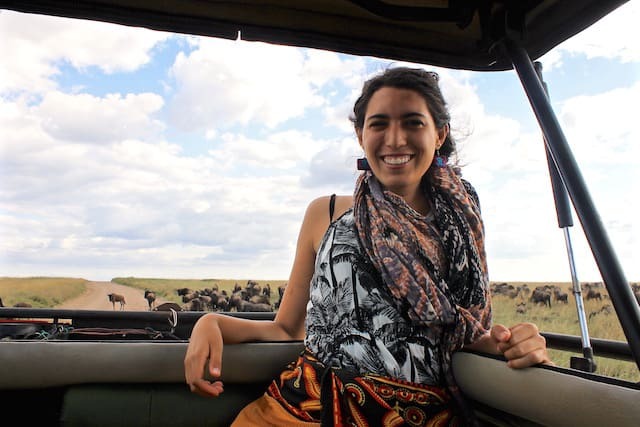 In celebration of my second month in Tanzania, I decided to take a safari. However, I was worried because I am a solo-traveler but could not afford a trip alone. I met Stephanie from Viva Africa Tours at a local coffee shop, where she explained they had a group tour scheduled that I could join (at a price within my budget!). The rest is history. These are five of my favorite experiences from my 4-day safari to Serengeti, Ngorongoro Crater and Tarangire National Park. It was truly the trip of a lifetime! Asante sana to my friends at Viva Africa Tours! On our first day of the safari, we traveled to the majestic Serengeti. I was so excited because had always dreamed of visiting since childhood! (For context, any time my sister and I played make believe, I always wanted to be Nala from the Lion King.) It was a beautiful afternoon in the Serengeti; the sun hit the plains just right to make them shine like gold. We drove around admiring the herds of zebra and giraffe. Just as we were about to head to camp, we saw them. A pride of male lions of textbook beauty, snoozing under an acacia tree. They were amazing! 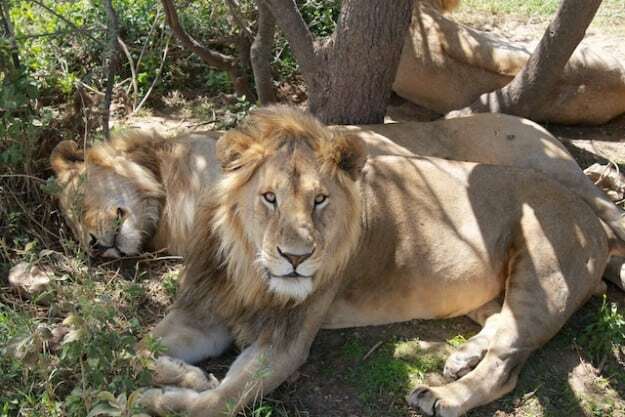 Six males, some of the most powerful animals on earth, just inches away from our safari truck. I caught the gaze of this one, and it was quite a powerful experience! His eyes were so intense, like he could see straight to my soul. We stayed with them a while, watching them yawn, stretch, and sleep. True to their form, cats will be cats. Any safari buff will tell you that viewing the Great Migration of wildebeest from Maasai Mara in Kenya down to the endless plains of the Serengeti is one of the most amazing experiences you will ever have. From this recent experience, I agree. During our visit to the Serengeti, the two-month migration during the short rainy season had just started. The park was teeming with wildebeest, over one million. On a late afternoon driving around the park, our safari game drive was paused. We literally had to turn off the car and wait. Right in front our truck, hundreds of thousands of wildebeest, a river of taupe, sprinted past. They were silent, they made no sounds or cries, they just ran- fast. They paid us no attention, we were just observers in their world. It was a humbling experience, a reminder of the true majesty of nature and relative smallness of myself in such a vast world. After forty minutes, the last few stragglers flitted by, leaving no trace of their presence other than a small cloud of dust. Wow. 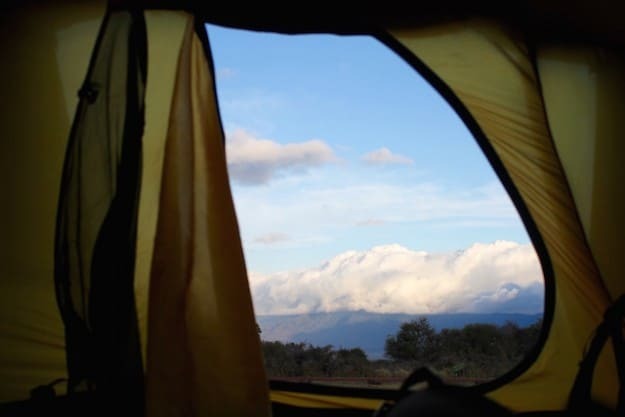 I love backpacking and spending time in nature, so of course I chose to do a camping safari. But it is not just any camping trip. A camping safari with Viva Africa Tours means sleeping directly in the national parks, an opportunity few will ever experience. Sleeping under the stars, listening to animals wander through the camp at night, and waking up to watch the sun paint the savannah with light. Needless to say, when we arrived at our camp on the rim of Ngorongoro Crater, after driving past giraffes and gazelle on the way in, I was ecstatic. We set up camp next facing the crater, giving me a breathtaking view of the crater. I enjoyed the rest of the afternoon reading a book and taking in the aesthetic scenery right outside my door. What an experience! I have always been a fan of zebras, spending extra time at their exhibit in the zoo. Little did I know that I would have the chance to see them in person! 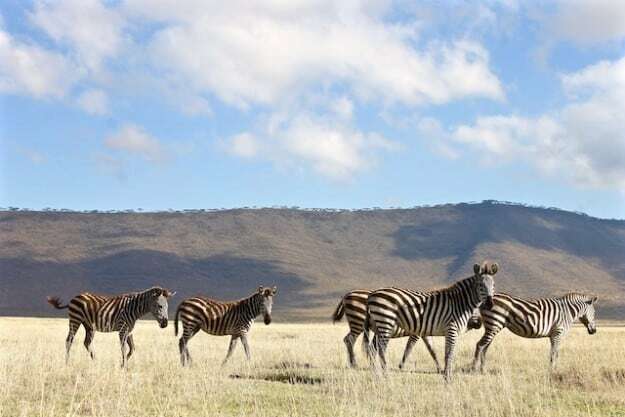 During the time of year I visited Ngorongoro, there were a lot of zebra. Around one million in fact, as it was the time of the Great Migration (it’s not just for wildebeest!). When we arrived to Ngorongoro Crater in the early morning hours, it was cold enough to need a sweater (a nice reprieve from the 38* C weather I was used to in Moshi!). The crater was quiet, almost silent- but as we drove over the flat savannah and approached them, you could start to make out their song. Yips and pips and ay-yi-yi’s, the zebra were singing! Thousands of them, old and young, pranced around, as if dancing to their own song. It was a lovely experience, a zebra ballet. I work in child and maternal health, so naturally, my favourite part of the safari in Tarangire were the mama elephants with their babies! Tarangire is known all over the world for their amazing elephant population. On our final day of the safari, I saw more elephants than I had ever seen in my life. We saw over two hundred elephants within five feet of our safari truck! As we drove around the park, we came across a herd of about ten elephants. They had just come from a watering hole and were resting on a patch of savannah. There were three mothers and three babies, but this pair in particular made my heart melt. 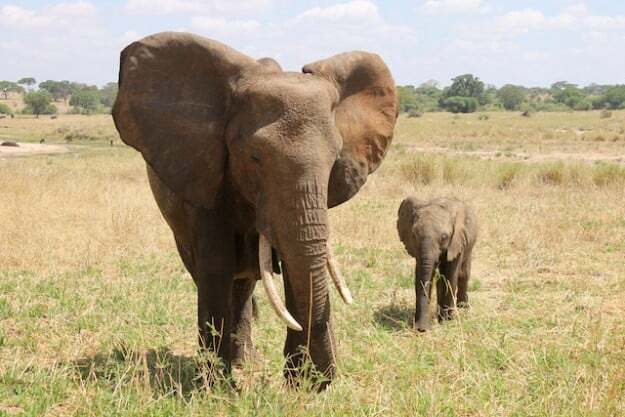 The baby in the photo was afraid on the wageni (tourists) and our big truck, so she took refuge behind her mama’s giant body. Mama, big as a house, sweetly guarded her baby. The cutest part was when the baby peeked her head from behind her mama to secretly spy on us. Eventually, the baby was no longer afraid, and she joined her mama to watch us…from a careful distance! It is no wonder Tanzanians say elephants are wamama wabora (excellent mothers)! It was such a cute experience. Asante sana and Safari Njema! Jambo! Alexandria is a recent college graduate hailing from Madera, California. 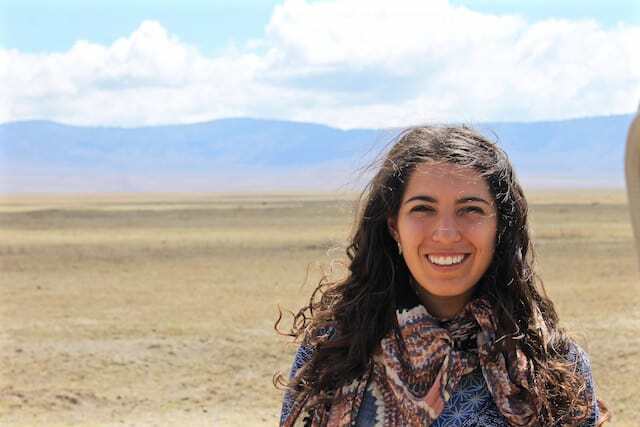 During her four months in Tanzania, she has been working to improve infant nutrition at clinic near Mt. Kilimanjaro. The experience has been nothing short of amazing, so she can’t wait to return to East Africa. She likes to spend her time traveling, eating spicy food, and learning about new cultures- making lifelong friends in the process. Read about her adventures on her blog.